Historically, machine learning platforms for discovery have been slow, complex, inflexible, and not designed with reviewers in mind. Thus, it’s no surprise that “predictive coding” is used on only a small fraction of all cases. 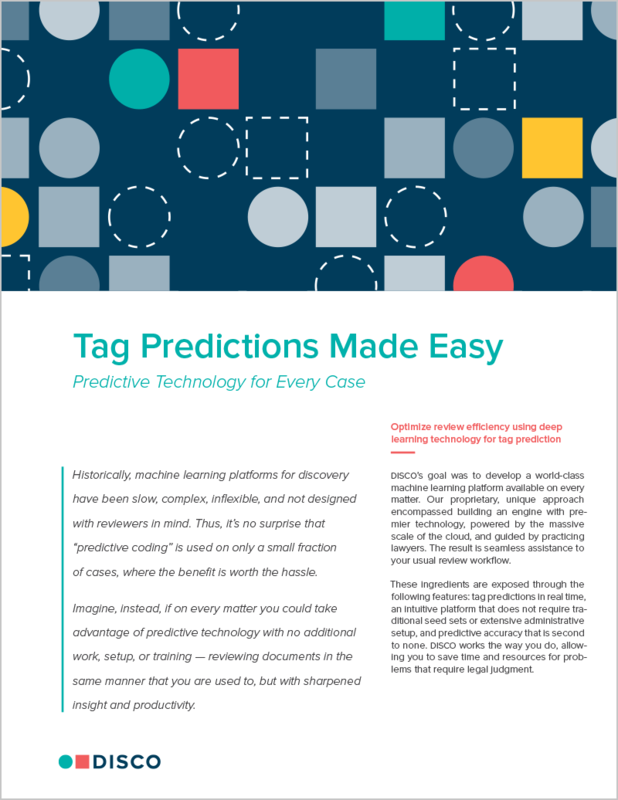 Imagine, instead, if on every matter you could take advantage of predictive technology with no additional work, setup, or training — reviewing documents in the same manner that you are used to, but with sharpened insight and productivity.